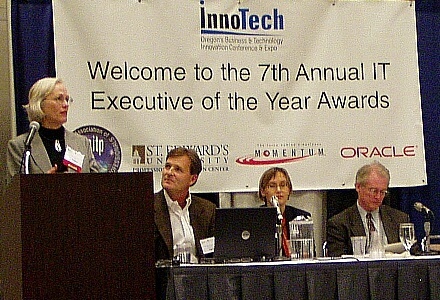 On November 3, 2004, the Austin chapter of the Association of Information Technology Professionals (AITP) presented the seventh annual Austin IT Executive of the Year Awards in conjunction with the Austin InnoTech - the region's largest gathering of IT executives, educators & vendors. The InnoTech/AITP awards ceremony was held at the Austin Convention Center, and it was attended by about one hundred area IT professionals. The keynote speaker for this year's event was Jay Gardner, past CIO of BMC Software. He related to the audience his past experiences and challenges of being a CIO, and he also spoke about the future of technology and the concept of "dinning out" for technology which is leading us toward a new paradigm of on demand services. "Once again, we have continued AITP's ongoing practice of highlighting the important IT executives in Austin," said AITP president, Bobby Afshin. "We are very pleased to honor this year's IT leaders such as Bill McLellan, John Cox, and Tony Alagna who have been equally recognized by their employees, their peers, and the community as a whole." "The Austin IT Executive of the Year honors continue to be the only awards recognizing Austin CIO, CTOs, VPs of Engineering and their peers," said Scott Calvin, this year's awards chairman. "As in the past, these leaders recognized because of their dedication to great operations and unique achievements which in turn contribute to Austin's reputation as a city of technology innovation." The primary sponsors of the event were Momentum Software, St. Edward's University Professional Education Center, and Oracle Corporation. Three major awards were presented: the Austin IT Executive of the Year - Private Sector, the Austin IT Executive of the Year - Public Sector, and the Austin Information Technologist of the Year. 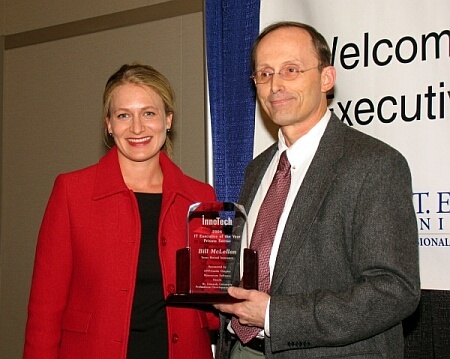 Bill has been instrumental in helping modernize TMI's applications architecture. Like many insurance companies, TMI was faced with the problem of having aging legacy systems that managed extremely complex business processes. Like many insurance companies, TMI had the desire to refresh their application portfolio as well as move to next generation technology architectures based on J2EE, web services, and similar standards based technologies. The insurance industry frequently utilizes off the shelf products that are extremely full featured, but not modern in their technical design. Likewise, newer products based on the latest architectures often lack the features to run a complex insurance line like TMI’s. Through Bill’s leadership, TMI has been able to form strategic partnerships between product vendors and our internal IT staff so the company could utilize the best of both worlds. TMI has also developed a new enterprise architecture for applications development, a standardized infrastructure for messaging, and a platform for integration and common ITservices - all adapted to a functional vendor product selected to run in the new environment. Bill has created a trusted environment not only within the IT organization but also across all the divisions, customers, Board of Directors, and vendors. Over the past two years Bill has revitalized the trust and collaboration within the IT organization. 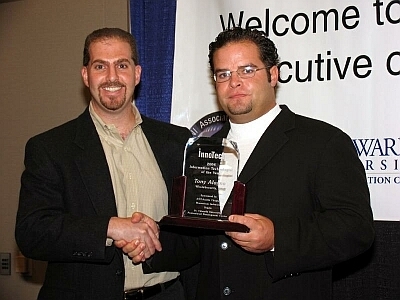 He has also built strong relationships with staff at all levels of the IT organization. John Cox has worked in the field of information technology for state institutions of higher education and for the Texas Higher Education Coordinating Board (THECB) for a combined total of 27+ years and has been involved in a number of innovative projects. His success is due to his ability to understand the needs of his clients and to use technology to enable them to address their own needs and to not require the intervention of IT staff. John has served at the Coordinating Board at a time when state agencies have been required to make repeated cuts to their budgets. This has been a particular challenge for IT managers at a time that reliance on technology is expanding. John has navigated this extremely well by monitoring changing personnel needs and making organizational changes when the opportunity arises. Specifically, he has carefully evaluated each position as retirements approach to determine whether the position as currently designed meets evolving needs. In numerous instances, positions have been redefined to address change directions in technology development and Coordinating Board direction. The result has been a responsive staff that has met continually changing needs. As a result, other divisions have supported maintaining positions in IT even as they have had to sacrifice staff. This reflects their understanding that John’s leadership has resulted in increased productivity of their staff. 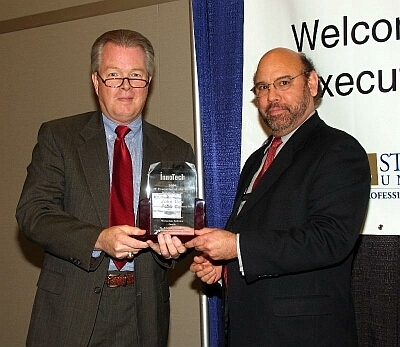 In August 2000, John was selected as the Director of Information Resources and Information Resources Manager for the Texas Higher Education Coordinating Board (THECB). In that capacity, he is involved with the Information Access Initiative, a project funded by the 77th Legislature to implement an agency data warehouse to provide ready access to the stores of higher education data residing at the Coordinating Board. 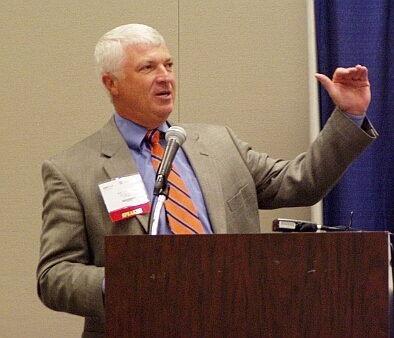 An important facet of the IAI project is Coordinating Board involvement in an ongoing multi-agency initiative with the Texas Education Agency and the State Board for Educator Certification to provide access to public education information, focusing on enabling longitudinal analysis of student and staff data both within and across agencies. The deployment of this data resource, Texas PK-16 Public Education Information Resource (TPEIR) is now publicly accessible as www.texaseducationinfo.org. Through Tony’s innovation and leadership, WholeSecurity has developed two breakthrough endpoint security products: Confidence Online and Web Caller-ID. Both utilize advanced, behavioral-based detection technology that provides zero-hour protection against new and emerging threats. Industry experts have touted these products as disruptive solutions in the security marketplace and have praised their effectiveness in fighting the most dangerous threats facing PC users today – worms, phishing attacks, and eavesdropping threats, such as Trojan horses, keystroke loggers, and malicious spyware. Tony’s innovative approach to designing and developing effective security solutions has resulted in products that are significantly more effective than their predecessors and/or competitors. This year's recipients were chosen by Ray Schwitters, President, Triangle Technology, Russ Finney, CIO, Tokyo Electron, Scott Campbell, President, Momentum Software, and Gary Cowsert, CIO, Activant.